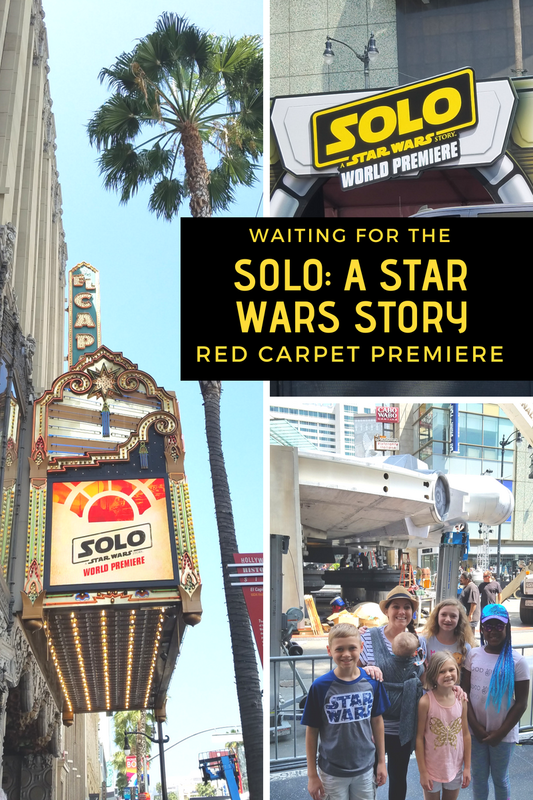 Our family was so excited to plan a layover in California with just enough time to visit Disneyland and make a quick stop in Hollywood to see the red carpet preparations for Solo: A Star Wars Story world premiere! With five kids, a 9 hour direct flight from Michigan to Hawaii just didn’t sound appealing. Instead of going direct, we planed a “half-way point” stop in California. Stopping in Southern California for a couple days not only breaks up the trip, but gives us time to adjust to the time difference in increments rather than all at once. 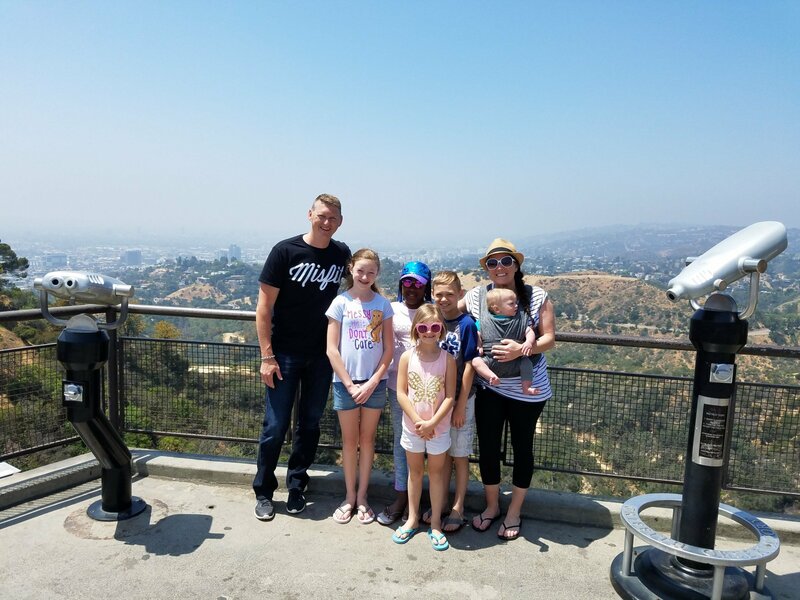 Quick driving tour of downtown San Diego with a stop at the park to play and have lunch. 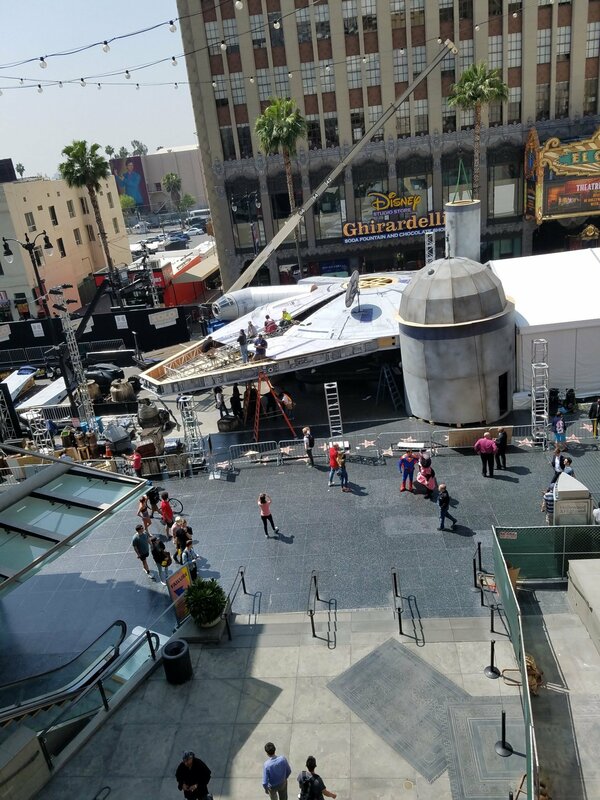 Spend a few hours walking around Hollywood, see the Chinese Theater and check out the set construction for the Solo premiere. 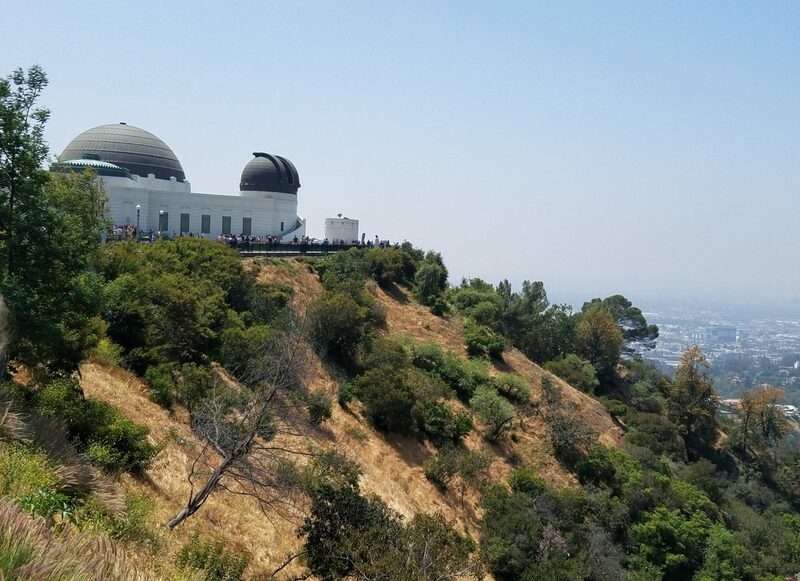 Drive up to the Griffith Observatory for some amazing views of LA and the Hollywood sign. Head to LAX for a 4:00 flight! It was really cool, timing everything so perfectly! 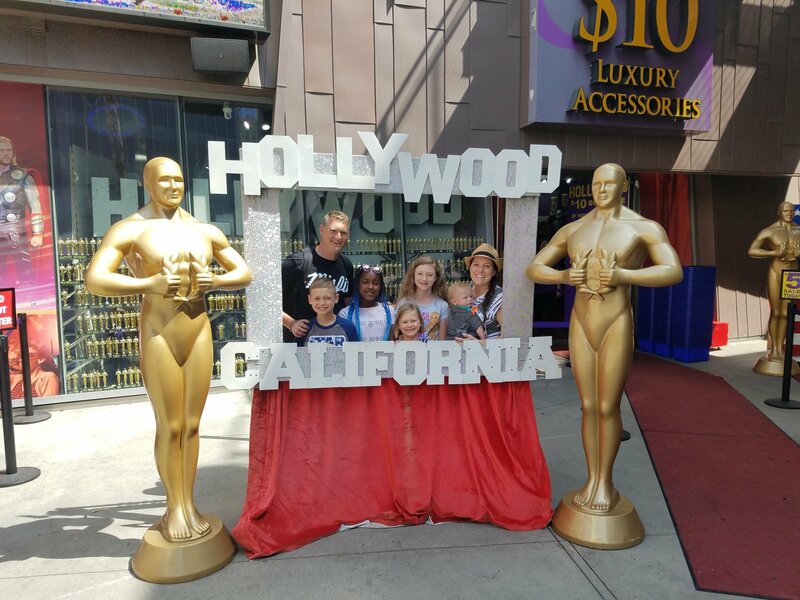 Giving ourselves 2 days at Disneyland and a few hours to tour Hollywood was just enough time for our crew. 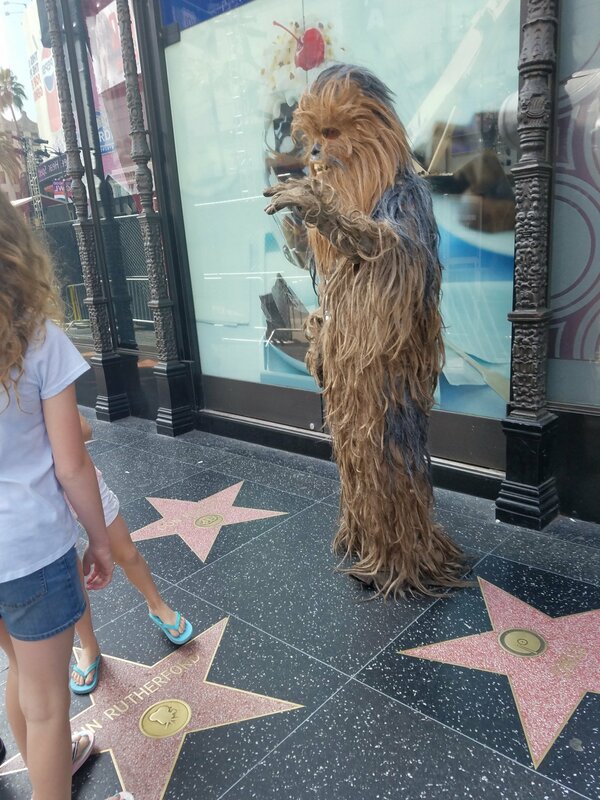 It was also really cool getting to hit Hollywood the day of the Solo premiere! 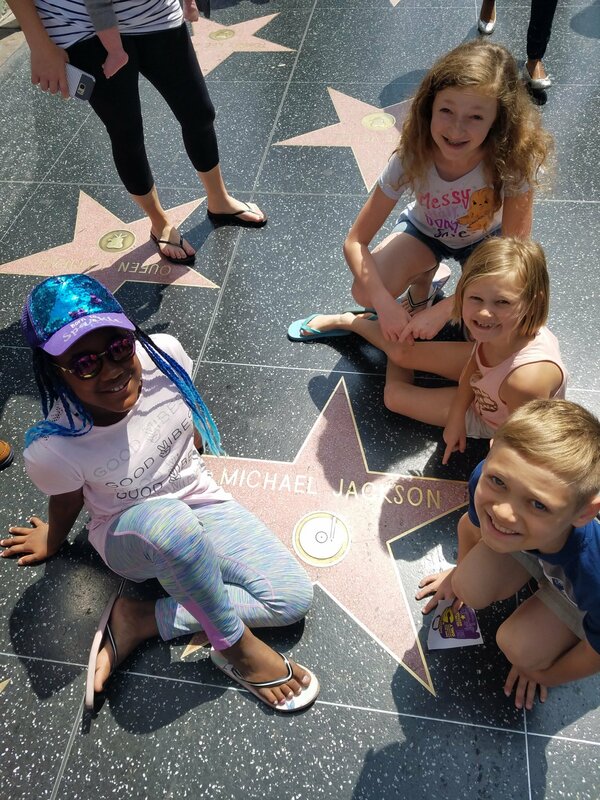 Hollywood Blvd. 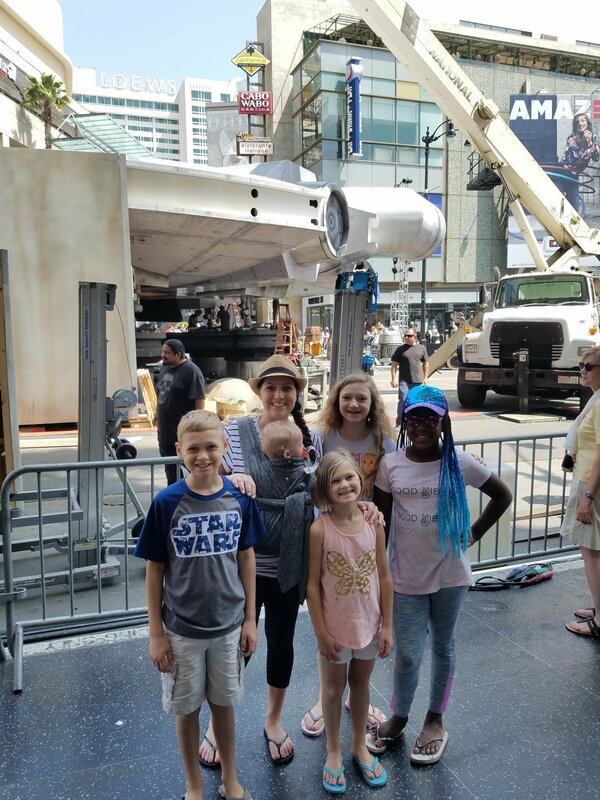 was completely shut down in front of the Chinese Theater, where they were constructing this full size model of the Millennium Falcon. 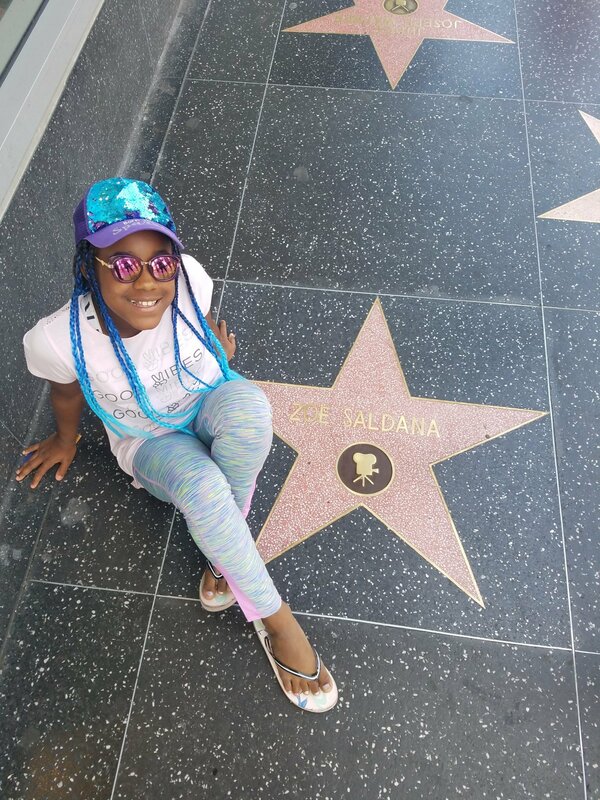 We saw lots of people camped out and waiting for autographs, creepy Chewbacca impersonators and plenty of celebrity names in just a few hours time. 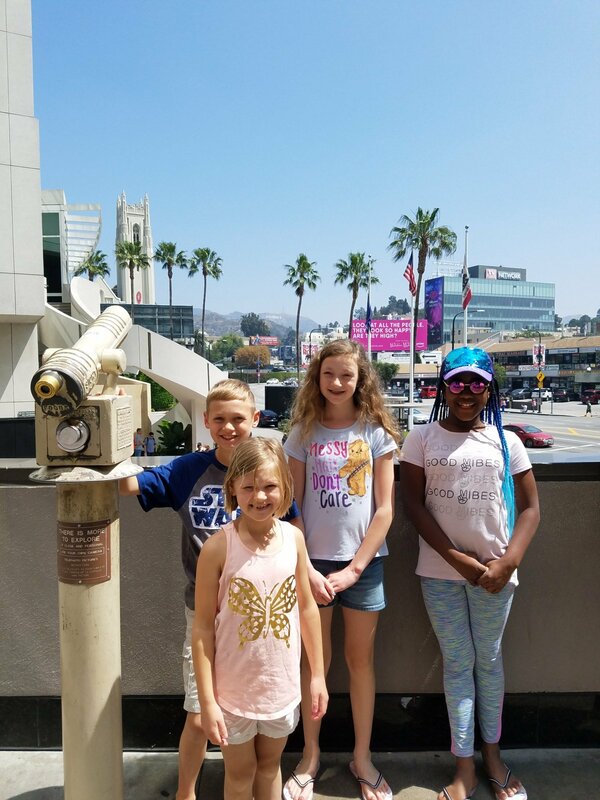 I am so glad our kids got to experience just a small taste of LA and Hollywood. We’re also really looking forward to seeing Solo: A Star Wars Story on opening night, May 24th, while in Hawaii!